A U.S. economic crisis is a severe and sudden upset in any part of the economy. It could be a stock market crash, a spike in inflation or unemployment, or a series of bank failures. They have severe effects even though they don't always lead to a recession. The United States seems to have an economic crisis every 10 years or so. They are difficult to eradicate because their causes are different. But the results are always the same. They include high unemployment, near-bank collapse, and an economic contraction. These are all symptoms of a recession. But a financial crisis doesn't have to lead to a recession if it's addressed in time. These six crises help you recognize the warning signs of the next one. You'll see when government action prevents complete economic collapse and when it makes things worse. The Great Depression of 1929. The first warning was a stock market bubble during the Roaring 20's. Wise investors could have started taking profits in the summer of 1929. In October, the 1929 stock market crash kicked off the Depression. It wiped out the life savings for millions of people. It wasn't the last time a stock market crash caused a recession. One of the Depression's causes was the Dust Bowl. This decade-long drought contributed to famine and homelessness. Another cause was the Federal Reserve's use of contractionary monetary policy. It wanted to protect the value of the dollar, then based on the gold standard. The Fed's policies created deflation. The Consumer Price Index fell 27 percent between November 1929 and March 1933, according to the Bureau of Labor Statistics. The effects of the Great Depression devastated America for 10 years. 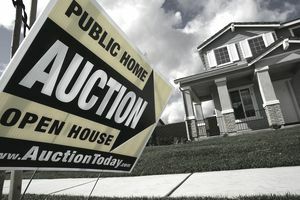 Housing prices fell 31 percent. At its bottom in 1933, gross domestic product had fallen 29 percent, according to the Bureau of Economic Analysis. Falling prices sent many firms into bankruptcy. The BLS also reported that the unemployment rate peaked at 24.9 percent in 1933. Massive government spending on the New Deal and World War II ended the depression. But it drove the debt-to-GDP ratio to a record 126 percent. If climate change creates another massive drought, a Great Depression could happen again. 1970s Stagflation. The 1973 OPEC oil embargo signaled the start of this crisis. The government's reaction turned it into a full-fledged crisis of double-digit inflation AND recession. The economy contracted 4.8 percent by the first quarter of 1974, according to the BEA. In 1975, unemployment peaked at 9 percent. Prices sky-rocketed after President Nixon untied the dollar from the gold standard. To curb inflation, he froze wages and prices. That made businesses lay off workers who couldn't lower wages or increase prices. Fed Chairman Paul Volcker used contractionary monetary policy to end the crisis. He raised interest rates to stifle inflation. The warning signals for the crisis were the announcements from OPEC and Nixon over their proposed disruptive actions. 1981 Recession. High-interest rates to curb inflation created the worst recession since the Great Depression. The economy shrank for six of the crisis' 12 quarters. The worst was Q2 1980 at 8 percent. Unemployment was above 10 percent for 10 months. It rose to 10.8 percent in November and December 1982, the highest level in any modern recession. President Ronald Reagan cut taxes and increased spending to end it. That doubled the national debt during his eight years in office. 1989 Savings and Loan Crisis. Charles Keating and other unethical bankers created this crisis. They raised capital by using federally insured deposits for risky real estate investments. Five Senators accepted campaign contributions in return for decimating the bank regulator so it couldn't investigate the criminal activities. There was no warning to the general public since the banks lied about their business dealings. The S&L Crisis resulted in 1,000 bank closures. The crisis created a recession in July 1990. By the fourth quarter, the economy shrank 3.6 percent. Unemployment peaked at 7.8 percent in June 1992. The subsequent bailout added $126 billion to the national debt. It's one of the 10 worst booms and busts since 1980. 9/11 Attacks. Four terrorist attacks occurred on September 11, 2001. They stopped air traffic. The two attacks that destroyed the World Trade Towers closed the New York Stock Exchange until September 17. When it reopened, the Dow dropped 617.70 points. There was no warning for the general public. The crisis threw the United States back into the 2001 recession, extending it until 2003. The economy shrank 1.1 percent in the first quarter and 1.7 percent in the third quarter. Unemployment peaked at 6.3 percent in June 2003. Some of this was not because of the attacks themselves. It was due to uncertainty about whether the United States would go to war. The resultant War on Terror added $2 trillion to the national debt. 2008 Financial Crisis. The financial crisis was worse than any other crisis except the Depression. The first warning came in 2006 when housing prices started falling and mortgage defaults began rising. The Fed and most analysts ignored it. They welcomed a slowdown in the over-heated housing market. In 2007, the subprime mortgage crisis hit. Lenders had allowed too many people to take out subprime mortgages. When they defaulted, the banks called in their credit default swaps. That drove insurance companies like the American International Group to bankruptcy. By mid-summer, banks had stopped lending. In 2008, the Fed stepped in to keep Bear Stearns and AIG afloat. The U.S. Treasury nationalized mortgage guarantors Fannie Mae and Freddie Mac to keep the housing market afloat. But they could not help investment bank Lehman Brothers. Its bankruptcy caused a global banking panic. The Dow fell 770 points, its worst one-day drop ever. Frightened companies withdrew a record $140 billion from their money market accounts. If the money markets had crashed, companies would have lost access to the cash they need to operate. The economy shrank 2.3 percent in the first quarter, 2.1 percent in the third quarter, and 8.4 percent in the fourth quarter. It went on to contract 4.4 percent in Q1 2009, and 0.6 percent in Q2. Congress approved a $700 billion bank bailout package to restore confidence and prevent a collapse. Obama's economic stimulus package pumped $836 billion into the economy, reversing the decline in July 2009. Is the United States on the Brink of Another Crisis? Modern U.S. economic history predicts the next crisis will occur between 2019 and 2021. That doesn't tell you where it will come from, what the result will be, and how to defend yourself. What would have protected you in previous crises might be the worst thing to do in the next one. You must watch for the warning signals. The first sign is an asset bubble. In 2008, it was housing prices. In 2001, it was high-tech stock market prices. In 1929, it was the stock market. It's usually accompanied by a feeling that "everyone" is getting rich beyond their wildest dreams by investing in this asset class. The next warning is the "get rich quick" ads everywhere. You feel like you're being left out. And, this is true for some time leading up to the crash. That's the nature of an asset bubble. The third symptom occurs when self-proclaimed experts write books predicting prosperity beyond imagination. They say "this time it's different." It's called irrational exuberance. It could last for months or even a year or two. But it never lasts forever. In March 2019, the Federal Reserve warned of another economic crisis due to climate change. Extreme weather caused by climate change is forcing farms, utilities, and other companies to declare bankruptcy. As those loans go under, it will damage banks' balance sheets just like subprime mortgages did during the financial crisis. The Fed blamed the growth in fossil fuels on the lack of a carbon tax. Businesses and households are not accurately charged for using these fuels. The Fed calls this "a fundamental market failure." It said that failure could lead to a financial crisis. Think this sounds far-fetched? Wildfires have already forced utility giant Pacific Gas & Electric into bankruptcy. It faced $30 billion in fire-related liability costs. Munich Re, the world's largest reinsurance firm, blamed global warming for $24 billion of losses in the California wildfires. It warned that insurance firms will have to raise premiums to cover rising costs from extreme weather. That could make insurance too expensive for most people. Pay off all credit card debt. Save three to six months' worth of living expenses. That will cushion you if you lose your job. Find a financial adviser you would trust with the key to your house. Work with your adviser to create a customized financial plan that meets your specific needs. That will determine your asset allocation. Make sure you have a diversified portfolio. Rebalance the allocation once or twice a year. Regularly skim off profits from the investments that have grown the most. Plunge these into an asset class that's weak. That automatically ensure you "buy low and sell high." It also protects you from losing too much when the crisis hits.